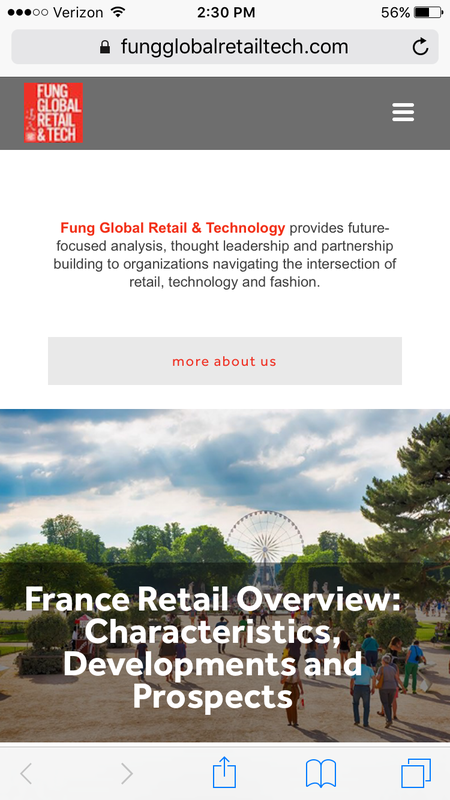 As part of its recent spinoff and renaming to better reflect Fung Global Retail & Technology’s role as a global think tank focusing on the intersection of retail, technology and fashion, we have introduced a new website, www.FungGlobalRetailTech.com. Earlier this year, Fung Global Retail & Technology spun off from the Fung Business Intelligence Centre, forming a new subsidiary of Fung Group, a 110-year-old family-run group of companies whose core businesses are engaged in trading, logistics, distribution and retailing. With offices in Hong Kong, London and New York, Fung Global Retail & Technology provides research, analysis, thought leadership and advisory services to corporations at the forefront of their industries. Recent research has focused on Robotics, AI, Deep Learning, augmented and virtual reality, the impact of the Silver Generation on retail, the effect of technology on aging and the growing influence of Generation Z. In addition, the firm issues regular analyses of major retailers around the globe. We have experienced tremendous growth and success over the last two years, and we believe expanding our research and analytics offering was the logical next step for the business. The full-length reports, brief snapshots and videos produced by our team are a primer for the future. This new website will make these resources easier to find while reflecting the breadth of our analysis and thought leadership in retail, technology and fashion. 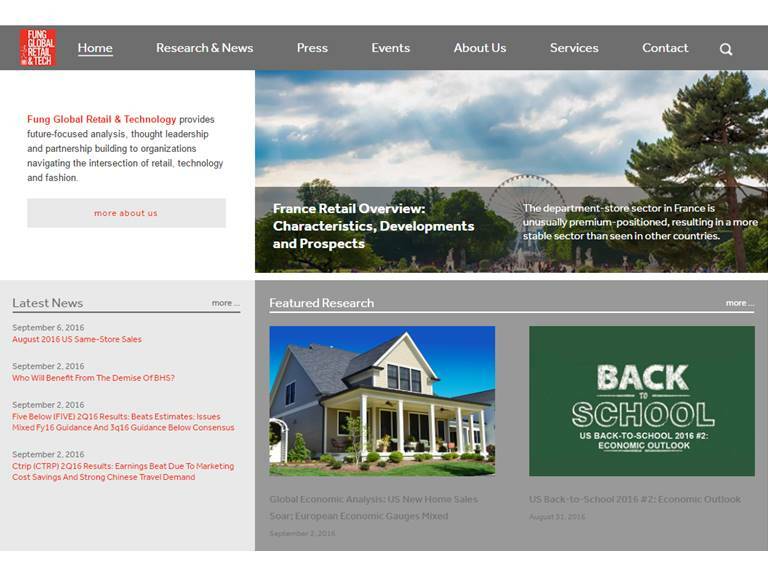 In addition to downloadable copies of Fung Global Retail & Technology research, the new site houses video reports, a calendar of industry events and corporate news. Please check out the new FungGlobalRetailTech.com! PIRCH: The Store of the Future?